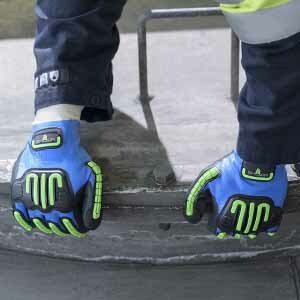 Global hand protection specialist Globus has enhanced its market-leading SHOWA gloves range with the launch of the highly cut resistant SHOWA S-TEX 377. By combining the unique Hagane Coil® cut-resistant technology with the SHOWA double dipped nitrile grip coating, the new SHOWA S-TEX 377 is the perfect solution for oily environments with high cut risks such as oil and gas, engineering, press stamping and industrial maintenance. Highly flexible, durable and comfortable, the fully coated nitrile S-TEX 377 protects against water, grease, oil and abrasion with the added benefit of high cut resistance – certified Level D to the new EN388 Standard. The additional black nitrile foam palm coating also provides outstanding grip in wet and oily conditions. Cut resistance is delivered through the innovative Hagane Coil® technology – a unique SHOWA coiling process that binds high performance yarns to a stainless steel core – the same carbon steel used to create Samurai swords. 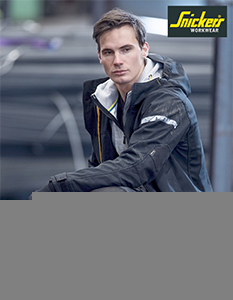 By using Samurai Technology, the S-TEX 377 provides the wearer with enhanced cut protection compared to using natural or synthetic fibres. 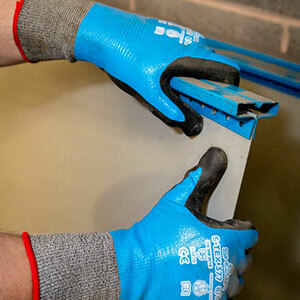 High grip performance is delivered through the Nitrile foam palm coating – the microporous foam structure effectively absorbing liquids, creating great adhesion between the hand and whatever is being handled. Underneath, the flat nitrile coating protects the skin against oil and grease contact reducing the risk of dermatitis. Available in sizes small to XXL, the addition of a long cuff protects wearers against the risk of wrist injuries whilst the elasticated knit wrist keeps the glove correctly adjusted and in place during use. “The launch of the SHOWA S-TEX 377 is a fantastic addition to the already renowned SHOWA S-TEX range. Purpose-built for rugged industrial environments such as oil and gas and engineering, it balances the combination of high level cut resistance, grip performance and comfort perfectly,” said Globus Product Development Manager for Hand Protection, Gregory Tessier. Products available include the state of the art, Ranger safety helmet, featuring a patented, double walled impact absorption system – Crashbox. Proven to transmit significantly less energy to the suspension harness in the event of an impact from above, Crashbox absorbs the impact energy, not the user. 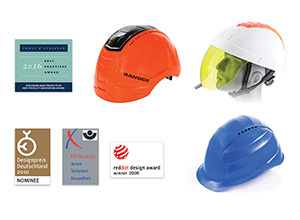 As a result, Ranger helmets have revolutionised head protection across Europe. 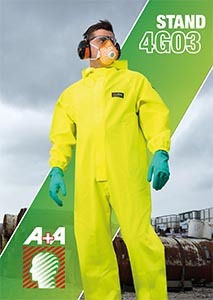 Globus Group – world leaders in PPE protecting people – will be highlighting the latest personal protective equipment solutions from its Alpha Solway and Riley brands at this year’s A+A. This international event will be held on 17-20th October 2017 in Dusseldorf. 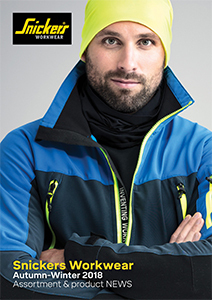 Visitors to the Globus Group stand G03 in Hall 4, will be able to see the new PPE innovations from Alpha Solway® including Alpha FLOW™ disposable masks, Alpha SOTA™ hearing protection and Chemsol HG Lite chemical clothing. Alongside, the new cutting-edge Riley® range of protective eyewear will be showcased. 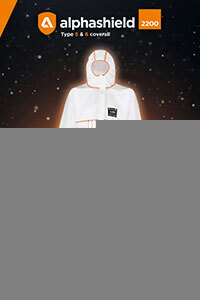 Chemmaster – widely considered the industry standard in comfortable chemical protective clothing and ChemCre8 – the unique and easy on-line service enabling protective suits to be tailor-made (including branding) to a company’s requirements. Visitors can also find out about Riley’s specialist RX safety prescription service which offers a contemporary range of styles all manufactured in Riley’s own UK facility and featuring impact resistant (EN166 Level F) polycarbonate lenses. “We are delivering some really exciting developments in worker safety solutions across both the Alpha Solway and Riley brands, using the latest innovations in both design and manufacturing, and are really looking forward to introducing these to visitors at this year’s A+A show,” said Steve Shale, Marketing Manager for Globus Group. 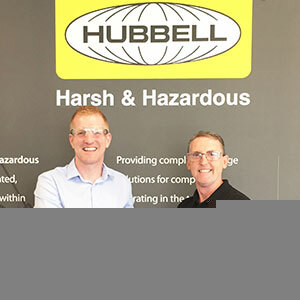 “In addition to product quality and a vast amount of expertise, Globus Group is dedicated to supporting our customers with market leading PPE technical knowledge, training and education to really help manage the safety and well-being of workers across a wide range of industry sectors,” added Steve.